This photograph received from Hayabusa2 spacecraft and made available by the Japan Aerospace Exploration Agency (JAXA) on October 3, 2018, Japan time, shows the shadow of Japanese spacecraft Hayabusa2 over the asteroid Ryugu, 325 million kilometers from Earth (! ), during the French-German Mobile Asteroid Surface Scout (MASCOT) deployment operation. A Japanese probe launched a new observation robot towards an asteroid on October 3 as it pursues a mission to shed light on the origins of the solar system. 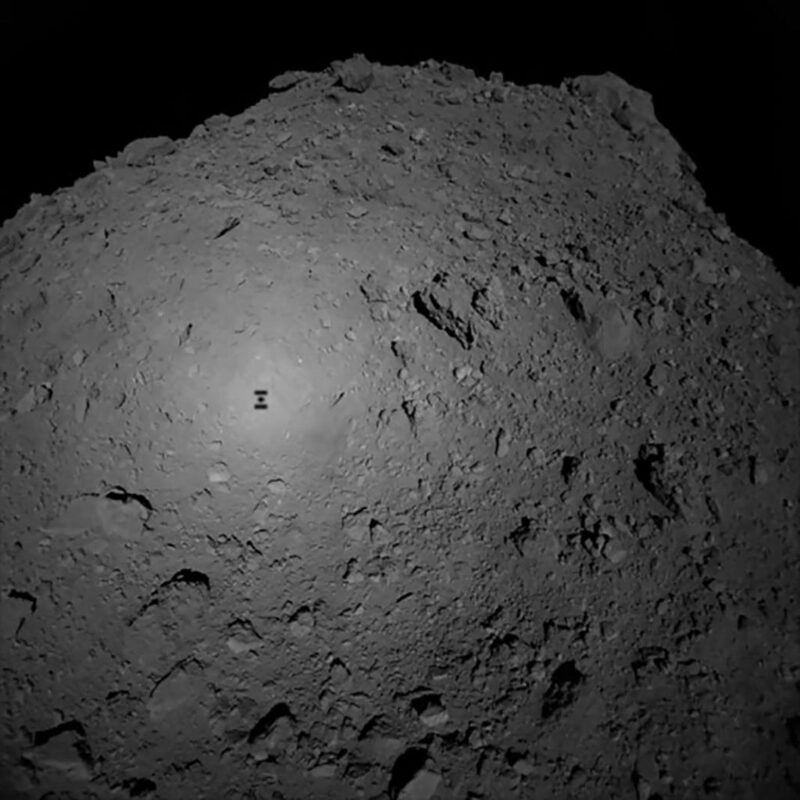 The Hayabusa2 probe launched the French-German Mobile Asteroid Surface Scout, or MASCOT, towards the Ryugu asteroid’s surface, the Japan Aerospace Exploration Agency said.